Monster cookies are everything good that there is about cookie-baking and candy-eating. 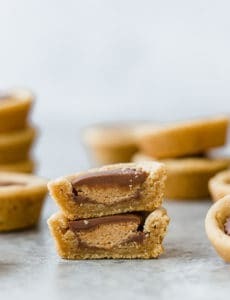 They are sometimes referred to as “kitchen sink cookies” because at first glance it seems that just about everything but the kitchen sink is thrown into these cookies. 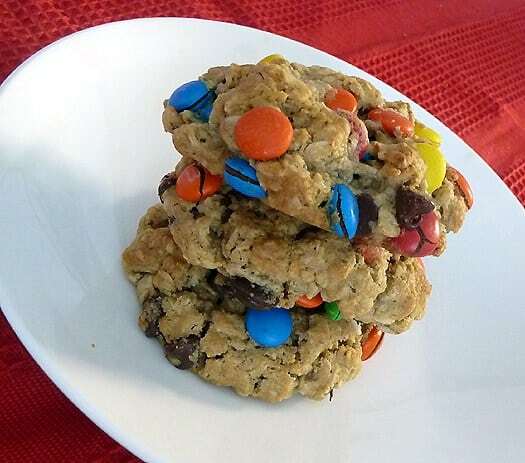 Peanut butter, oats, chocolate chips, M&M’s, Reese’s Pieces… They are basically the Peanut Butter-Oatmeal Chocolate Chip Cookies on steroids. Not only more ingredients, but bigger too. The monster cookies go the no-holds-barred route when it comes to size. And when it comes to cookies (at least in my book), bigger is always better. Which is probably why the Thick and Chewy Chocolate Chip Cookies and the Chewy Oatmeal-Raisin Cookies are two of my absolute favorites. Big, thick, chewy. Love ’em. And I love these. The fabulous thing about these cookies is that they are totally adaptable to your tastes and you can go hog wild in creating the perfect cookie for you. The original recipe calls for butterscotch chips (not Reese’s Pieces) but with peanut butter in the batter, and because I have a serious love affair with Reese’s Pieces, I decided to nix the butterscotch chips for Reese’s Pieces. You could also use peanut butter chips, which would be fabulous as well. Really, whatever you like, throw in! I think chopped nuts would be great too. I somewhat included nuts by using chunky peanut butter instead of creamy, but that’s really a personal preference. I briefly considered peanut M&M’s but figured they would be too big for the cookies (probably a good call). The key here is to make the monster cookies your monster! Dig deep and channel that inner mad scientist. 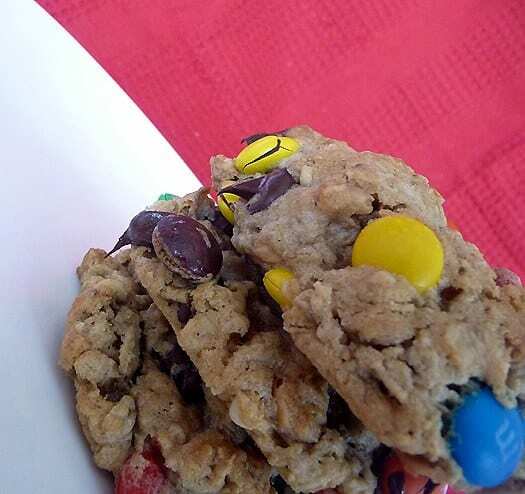 What would your ultimate monster cookie have in it? 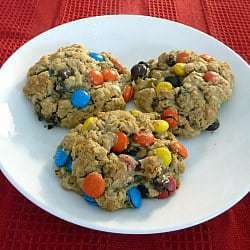 When you make your Monster Cookies do you use quick oats or old fashioned oats. Thanks so much!! Hi Diane, Old fashioned oats. Enjoy!! Making these cookies again. Love, love love, this recipe! I made a couple batches for my daughters wedding rehearsal dinner and they were a big hit! Now I love to make them and freeze them to keep on hand when the cookie cravings strike! I think these are my husband’s favorite cookies! They are so good. I sub butterscotch chips for the Reese’s pieces. Thanks for a great recipe. These cookies are delicious and I have made them many times. Only problem I have is the bottoms of the cookies tend to start burning before the rest is done. Anything I can do to fix this? I have made Monster Cookies for years and they are always a hit. These are so yummy, and can be made with any corresponding colour of M&Ms for festive occasions! Also – in the version I use there’s no flour, so if you are careful about the other ingredients, particularly the oats, they are a great gluten free treat! I featured these cookies on my blog today for National Cookie Day! Thanks so much for sharing the recipe! I usually make these for the boys who play intramural football at the university. I brought 3 dozen for 12 guys and they finished them all! That was even after feeding them sandwiches, chips, and oranges. 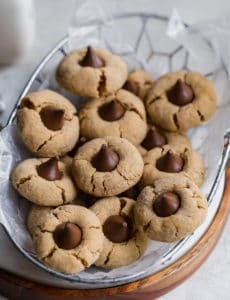 These are definitely my favorite cookies to bake and always a team favorite. I just used Reeses Pieces and white choc. chips and they are amazing!! These cookies are no joke! I cleaned out my Halloween and Easter candy–pastel m&ms and whoppers in place of the reese pieces. They’re gone now! I make a version of these without the flour and candy….basically PB and oatmeal cookies. Increase PB to about 2-2.5 cups, eat them warm with fresh whipped cream and raspberries….we call our version Evil Cookies because my thighs think they are..haha! I’ve never heard of Monster Cookies before! 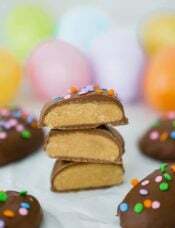 I made mine with chopped up Flipz (chocolate covered pretzels), chopped up Kit Kat bars, M&Ms, and mini Reeses cups – the reeeeally small ones. I used about 3/4 cup natural peanut butter (it tends to make the cookies spread out more, because it’s more oily than regular peanut butter) but otherwise I followed the recipe to a T. Let me tell you… these things look and taste SO delicious! The perfect fix for a craving! I baked up one sheet full and I’m freezing the rest for future cravings! 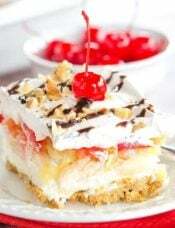 Thanks for this delicious recipe!! I’ve been wanting to bake monster cookies all summer, and I finally decided to do so today. I am SO glad I did, and that I followed your recipe. These cookies are delicious and full of my favorite things. I used pretzel m&m’s because they are my new obsession, and while they are slightly bigger than the regular kind, the cookies were not too overloaded and came out perfectly. Thank you so much! 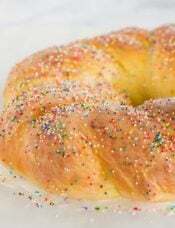 I am baking these right now but I don’t think they are coming out right and I am wondering what I did wrong! The dough is so stiff that when I put the flattened balls in the oven to bake, they basically keep that shape! It doesn’t seem to be spreading like most cookies. Has this ever happened to you before? I used all natural peanut butter since that is what I buy. Do you use all natural or something like Jiffy and do you think that would actually make a difference? Hi Michelle, I actually never bake with all natural peanut butter because it’s texture is so different and it can definitely affect the outcome of baked goods. For baking, I stick with regular peanut butter, such as Jif. If I wanted to go with a mint theme, do you think I could drop the peanut butter without ruining the texture or composition of the cookies? Good basic recipe, though I modified it a bit. I didn’t melt the butter. I whipped softened butter with the peanut butter first, then added the rest of the “wet” ingredients. I next added this mixture to the “dry” ingredients. I also omitted the corn syrup and reduced the brown sugar by 1/4 cup and the white sugar by 1/4 cup. In order to encourage the cookies to spread a bit, I used a few wet fingers to press each of them down a bit before baking. Divine! I tried yesterday this recipe, and we are already thinking in cooking it again, so you can imagine the success. The only “problem” is that, at home, I only had M&M’s with peanut, but I crushed them and it was also ok. 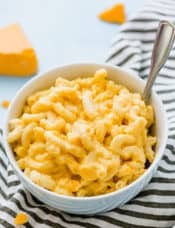 Thanks for the recipe, it’s really easy and very, very delicious!! I love peanut M&M’s. They need to be hidden from me ;-) Great substitute! I have always wanted to make Monster Cookies, and tonight, listening to the Monster Mash over and over with my 3 year old, I decided THIS was the night. My son was very excited to help make these, and sang Monster Mash the whoooole time. I made a few changes based on what I had- half butter half shortening, no corn syrup (I figured no biggie cause it was a tiny amount, but maybe it was a biggie?) and did chocolate chips, peanut butter chips, butterscotch chips and chopped pretzels! Now, I know it would be much better to have the candy coated kind because they are much more fun looking. But anyway, I used an ice cream scoop and got 36 cookies. I baked 6, thinking they would spread a lot, and they didn’t. they stayed in little mounds! After 12 minutes they were still totally balls. After 20 (yikes!) i decided to take them out. I cooled a bit and just ate one- yum. They are a little crisp outside and warm and soft inside- i hope they don’t get too hard as they cool since I baked so long. Do you think it was the shortening and lack of corn syrup that caused them not to spread? Katie, How cute about your son singing “Monster Mash” while helping you bake! Love it! The shortening could have been the culprit here. 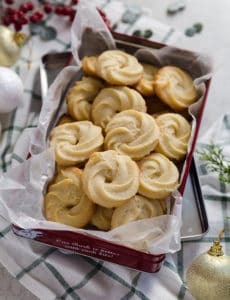 I have seen it called for in sugar cookie recipes specifically because it keeps the shape of the cut out cookies, and keeps them from spreading. My husband is very picky when it comes to Monster Cookies and he LOVES these! They turned out fluffy, soft, chewy, and oh so delicious! Thanks for the great recipe! Yay! I’m glad these got your hubby’s approval! Yum! 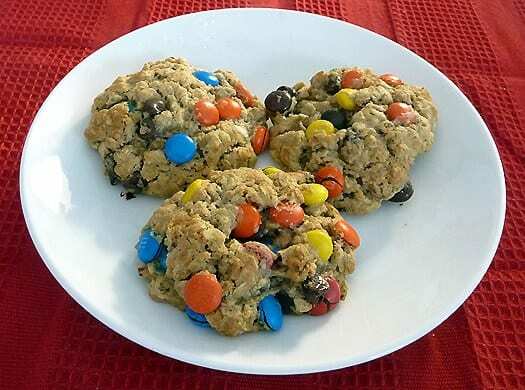 There’s a reason your recipe pops up #1 in a google search for monster cookies! We made them tonight and they are so delicious! 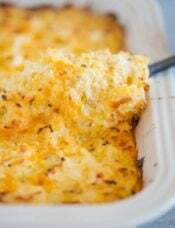 I’ve tried tons of different recipes, but your’s is definitely the best! Thanks Londa! Great to hear your review, I’m so glad you loved these cookies! Chocolate Chocolate Chip Cookies with Dark Chocolate Chips and M&M’s would be excellent. Or the Dark Chocolate M&M’s would be even better. Use really good chocolate and really good cocoa – the better the ingredients the better the taste. 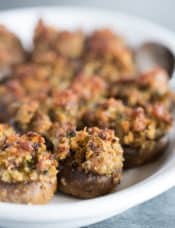 Hey Michelle – I’ve made these a couple of times (so delicious! ), but they seem to come out much flatter than yours. Any idea why this happens? Do you let the butter cool a bit before you add it…I’m thinking this might be my problem. Love your site! Stop eating the mixture! These are a fantastic alternative to a standard choc chip cookie. I put in m&m’s and smashed up jaffas. Yum. I tried making monster cookies before but they weren’t quite as I remembered. These look like they might be closer to the ones I used to have. Swapping out the butterscotch chips for Reese’s Pieces sounds perfect to me. I’ve seen these Almond Joy pieces that I’ve been intrigued about and I’m thinking they might be yummy in here! YUMM! These look great, I think I would even add in some marshmallows in there to seal the deal! And about those no-bake cookies, I think I go to that recipe everyday and dream of how good and easy they look, except the hubby doesn’t like oatmeal so I haven’t made them yet! What pretty Monster cookies…They look so good! I remember making these a lot as a kid. These bring back some good memories. I just might have to make a batch soon.